Every WordPress blogger should know the importance of Plugins. WordPress plugins are bits of software (or) simple third-party code that can be installed from the WordPress repository. It enhances the functionality of WordPress blogs. Recently I received a mail from a newbie blogger. Now I am going to discuss the list of WordPress Plugins using in my blog. The best facility available to WordPress is the presence of thousands of plugins in the directory. There are numerous plugins available in WordPress, present in the directory which is functioning from Database Protection to SEO”. There is no need for using all the plugins for WordPress. The selection of plugins depends on the usage and requirement of the blog. For example, the plugins “All in One SEO” and “Yoast SEO” for the SEO blogs. New functionality can be brought to the WordPress blog with these plugins. This is an Official service provided by Automattic. This plugin is trusted by millions of WordPress sites, big and small. Akismet checks your comments against the Akismet Web service to see if they look like spam or not. You can get the API key for Akismet by clicking here. This plugin is a great free option to reduce the spam on your blog. Recently WordPress developers introduced Gutenberg editor feature in WordPress 5.0 version. Most of the WordPress users fix the old editing panel. So if you are more comfortable with Gutenberg editor, you can continue with the upgraded editor. If you are feeling uncomfortable (or) more comfort with old editing panel, this plugin reverts the old editing panel for you. I am using this plugin after my CMS update. This plugin is maintained by the WordPress team. Simply it restores the previous (“classic”) WordPress editor in the ‘Edit post’ feature. This plugin is helpful in showing the content index in every post, and page. The plugin is user-friendly, it allows you to insert a table of contents within your Posts, Pages and custom post types. 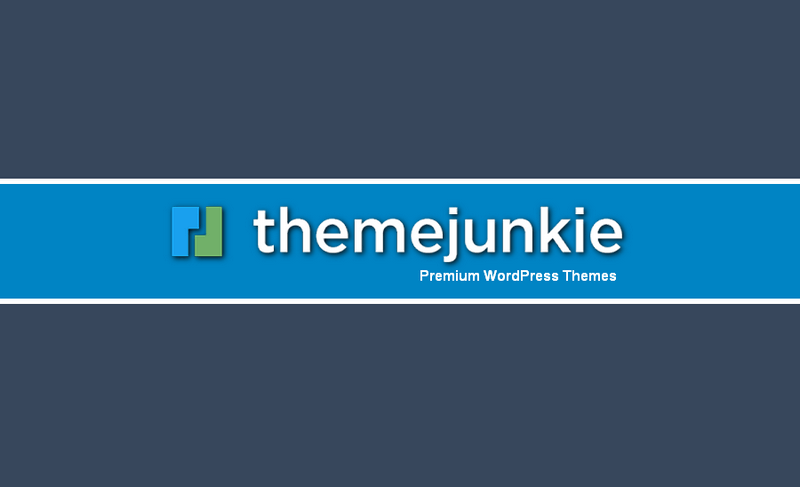 All WordPress themes supporting the format. GADWP is a very helpful plugin to track the visitor activity on my blog. Before using this plugin, you need to integrate your Google Analytics account. Just read carefully, integrate with your blog and get the Google Analytics data from the WordPress dashboard. Gives the real-time number of visitors, channel details and traffic source details. Accurate tracking on Downloads, Emails, Outbound links, and Affiliate links, etc. Jetpack is a special plugin from Automattic Company (WordPress CMS developed company). It comes with more features like Site stats, Comments, Subscription box, Mobile theme, Auto publicize feature (Auto-share your blog post on social media after hit the publish button), Uptime monitoring and more. I am checking my traffic status from my dashboard. The plugin checks and informs downtime status, if my site goes down. It monitors my blog every 3 min. I love this plugin, which is supercharged my blog. But there is a small problem with this plugin. If you enable all the features in this plugin, it slows down your blog loading time. Before activating those features, you should check more time. Rank Math is a WordPress SEO Plugin. It is the best alternative to the Yoast SEO plugin. Search engine optimization (SEO) is the most important source of traffic for any type of website. This plugin is improving my search engine visibility. Simply it is super-fast SEO plugin. Here is my review on Rank Math SEO Plugin. Here are the features of Rank Math SEO WordPress plugin. Shortcodes Ultimate is a complete collection of different visual and functional elements. You can use this element from the post editor, text widgets. It helped me to create professional visibility to my articles without writing a single code. It is providing simple shortcodes to place anywhere within my articles. Tablepress is a free plugin to create and manage beautiful tables. HTML coding skills are not required. After creating the table in their spreadsheet-like interface, you can place the tables into posts, pages and in widgets with a simple shortcode. Tables can be imported and exported from/to Excel, CSV, HTML, and JSON files. Backup and restoration made easy. Complete backups; manual or scheduled. This plugin helps to back up my blog in ‘backup to S3, Dropbox, Google Drive, Rackspace, FTP, SFTP, email + others’. This is an excellent plugin and I am personally suggesting for every WordPress blog for my clients. For personal use, the free version is more than enough. If you are having more clients, Blogs better to upgrade Premium version for better security. It helps to backup the data from hosting to cloud hosting. This is one of the best plugins in the list of WordPress plugins. This is another great plugin for who are maintaining a YouTube channel for their blogs. I am using this plugin to integrate my Blogging Den YouTube channel in my blog. This plugin is also helping to embed YouTube videos within the articles. This is more compatible with recently upgraded WordPress 5.0 Gutenberg block editor and also compatible with the classic editor. 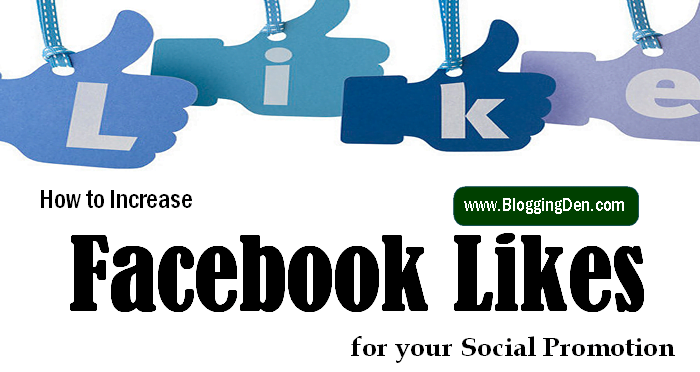 This plugin adds lightning fast social share buttons with an attractive design. It recovered my old social share count after migration of my site from HTTP to HTTPS. This is the premium feature. If you are searching for a premium WordPress plugin to post coupons and deals, this is the best plugin. I am using this plugin since last year. It is a premium plugin. WP Coupon plugin is one of the best plugins for marketers and it is developed by two affiliate marketers. This plugin helps you to boost your affiliate sales and it increases your CTR conversions. 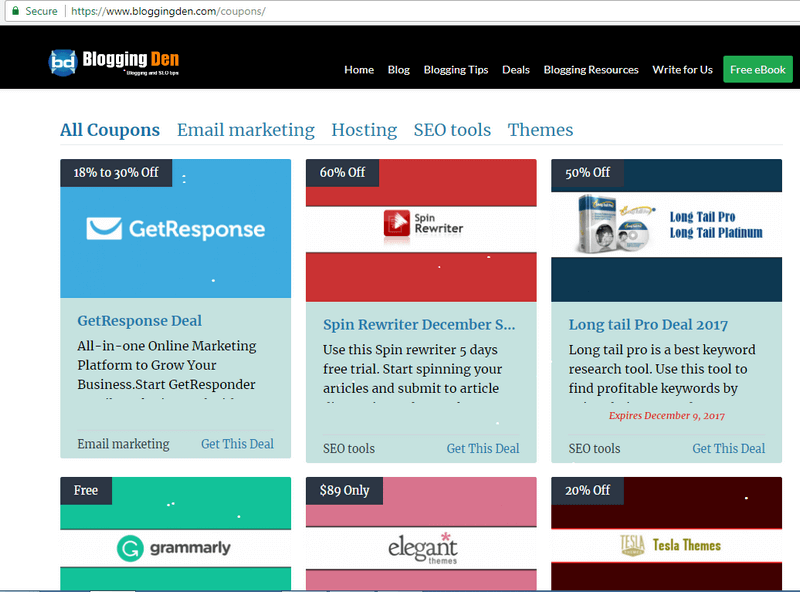 This is the best coupon plugin for WordPress blogs. Here is my Coupons page. Already thousands of bloggers and affiliate marketers are using this WordPress coupon plugin. By using this plugin I am promoting affiliate products by displaying coupons, deals and promo codes. It is a lightweight Plugin, it is just 40KB zip size. WP Review Pro is one of the most popular, powerful and feature-rich WordPress plugins. It is one of the best plugins from Mythemeshop. This product helps in creating product reviews for my blog. By using this plugin I am able to create beautiful and information packed reviews in this blog without any technical and design skills. The reviews will helps you to promote your own or affiliate products through your blog. I am using WP Review Pro version in this blog. This is an example of WP Review Pro usage in my Blog. Google Loves fast loading blogs and it gives high priority in search engine ranking to those sites. WP Rocket is the most powerful caching plugin by WordPress experts. It is helping to improve my blog loading time. This is the perfect plugin to upgrade the blog to the next levels. Now a day’s most of the Web hosting service providers are upgraded to advanced SSD storage and are giving unlimited storage features. But most of the WordPress users are facing the blog loading issues. This plugin is giving awesome results for every WordPress blog. Personally, I have been using this plugin for 12 months. Results are excellent. Here is my Review on WP Rocket and its configuration process. Email Marketing is one of the strategies in online marketing. Email List building is very important to get regular subscribers. Here I tested more plugins for Email list building. ConvertPlus is giving great results for my blog. This is an all-in-one WordPress Popup Plugin. Simply this plugin converts your website into a lead generation powerhouse. You can convert your visitors into subscribers, social followers and customers. This plugin features in most popular sites like HuffingPost, Ahrefs, GetResponse, and WPLifft. Best popup plugin for WordPress blogs/websites. The cost of the Plugin is $24. Integration facility with all major social media and more than 30 email marketing services. If you are promoting affiliate products via your blog, this is a compulsory plugin. ThirstyAffilaites is the best affiliate link cloaking plugin for WordPress users. It helps to shorten the affiliate link from the long ugly Affiliate link. I am using the free version. If you need additional features like Automatic keyword linking, advanced statistic reports, and affiliate links import/export you have to upgrade from free to the premium version. After using this ThirstyAffilaite Plugin I go this shorten and smart link. Here the plugin, cloaking affiliate links into smart and readable URL. The above-noted plugins are free for usage and most of the plugins found in the directory are available in Open source Plugins. Few plugins are premium. These are the major WordPress Plugins I am using in BloggingDen.com for twelve Months. Every day I am going to test one plugin to enhance my blog’s functionality as per their needs. Most of the plugins are Top Plugins for WordPress. Share the plugins you use in your blog in the comment section below. 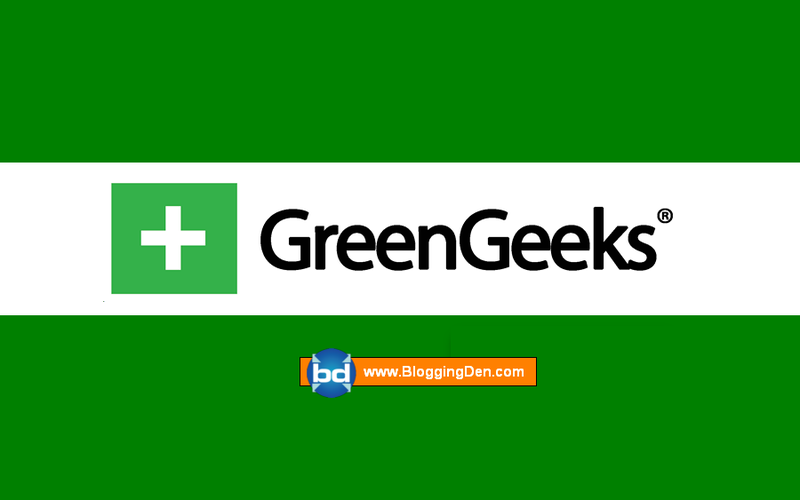 Short Description: Now BloggingDen supercharged with these awesome plugins. Here is the list of WordPress Plugins. These are helpful for New Bloggers. We are checking more plugins to power up more in the coming days.